See how lovely, joyful, and heartful Katherine and Connor’s wedding was? Know this—our bride Katherine was feeling all the anxious feels! Said Katherine, “As I anticipated our wedding day I often felt a mix of emotions. I thought I would cry. I thought I would be sooo nervous. I was unsure if everything would come together.” So, couples out there in the midst of planning, take heart! Your wedding too will come together and be everything (and more) you hope. 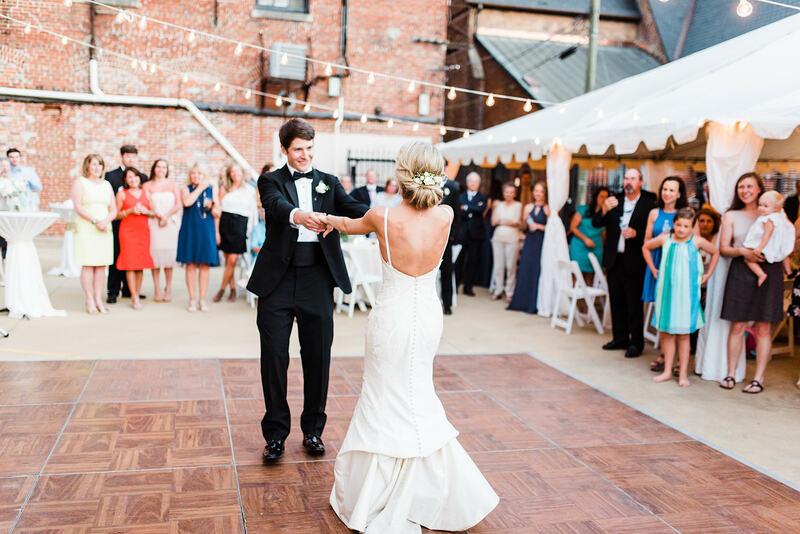 Wed and married at First Baptist Church of Selma, Katherine and Connor’s wedding was classic, southern, 100% them, and 100% perfect, especially the pre-ceremony blessing and their first dance—these two love cutting a rug and danced their hearts out that day! How did your sweetie propose? How did you choose your gown? What was your favorite wedding day moment? Every picture captured the best. What a beautiful wedding, for a beautiful couple.